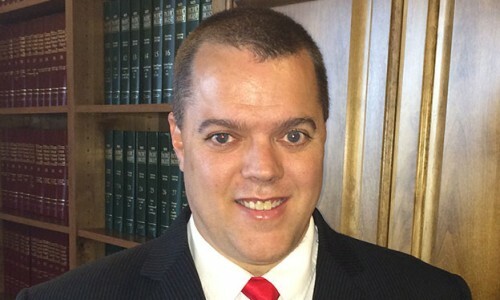 Rowland has practiced law in Southern Utah since 2007. Prior to relocating to St. George, he practiced in Eastern Michigan. Rowland has handled a variety of legal matters for clients in the following areas of law: estate planning, business organization, divorce, adoption, personal injury, contract disputes, real estate matters, and Michigan workers compensation. After graduating from law school, Rowland worked for Chief Judge Thomas Eveland in the 56th Circuit Court for Eaton County, Michigan. As a court of general Jurisdiction, Rowland reviewed all criminal and civil pleadings filed with the court and prepared memorandums for Judge Eveland on all pending motions. In Law School, Rowland interned at the Sixty Plus Elder Law Clinic. The clients of this clinic were residence of Ingham, Clinton, or Eaton County over the age of 60. Rowland’s primary focus was estate planning and guardianship reviews for the Eaton County Probate Court. Rowland was also a member of the Governing Counsel of the State Bar of Michigan, Law School Section throughout law school. Rowland is an active volunteer in the community. He has participated with the Talk to a Lawyer program through the Southern Utah Legal Aid. He is also on the Human Rights Committees for two local organizations who provide services for disabled adults. Rowland is a soccer fan and currently volunteers with the American Youth Soccer Organization (AYSO) as a Coach, a Referee, and as a Regional Board member. As an Eagle Scout, Rowland has held many positions with his local BSA troops and is currently a Cubmaster. Rowland is married with three soccer-playing children.